If I had to pick one thing that I love most in this world, it would be adventures. You want to get to know me? You want to see where I thrive? You want to see me at my best? Go on an adventure with me. It's where I feel most alive. I thrive when I am exploring, seeing new things, being bold. Since I got out of high school, I promised myself that I would strive to have a life of adventure. So I moved out of state to go to school. I spent a summer volunteering a YoungLife camp in upstate New York. I transferred to a new school and moved back to Baltimore. I studied abroad in London, England and spent a weekend touring Ireland. I started a grown-up relationship. And this last summer, I road-tripped across the country, from Texas to California. Having never been west of West Virginia before, I saw the Alamo, went to real rodeo, drove on Route 66, saw the desert, drove through the New Mexican mountains in a huge thunderstorm, saw the Red Rocks, explored the Grand Canyon, was amazed by the lights of Las Vegas (but also kind of horrified by that place, too), dipped my feet in the Pacific Ocean for the first time, walked the Walk of Fame, saw the Hollywood sign, put my hands in Tom Hanks' handprints outside the Chinese Theater, chatted with Ariel at Disneyland, walked the pier in Santa Monica at sunset, snorkeled with sea lions and sharks (and it was terrifying and I was a baby about it), and took my first flight alone. And now, it's been exactly 3 months since I returned home from the adventure of a lifetime and I'm trying to figure out where do I go from here? I saw this quote today from the twitter of a fellow blogger, Rachel Dawson, and it struck me. "We crave adventure because we crave life that is real and untouched, life that is simple and spontaneous, life of fun and freedom." I've been back home for three months now, and real life has hit me like a ton of bricks. Since I've been home, I've gotten engaged (yay!). But I've quickly been brought back to real life with the stress of wedding planning, the anxiety of a huge life change, the criticism and unwelcomed advice of well-intentioned family and friends, seeing my out-of-state fiancé only once a week and struggling to find time for us to connect with our opposite schedules. I've gone back to school as a double-major, trying to balance internships, night classes, tutoring, exams, service learning. I've gone back to work as a before and after care teacher, trying to find a way to get along with my co-workers, manage obnoxious 4th grade boys, plan interesting lessons, while trying to positively influence and love my students and keeping my sanity. This leaves little time for relaxing, spending time with family, catching up with my friends. This is how real life goes most semesters and at the end of most days, my head is spinning and I am left feeling lonely and wondering, "Where is the adventure in this messy life of mine?" Over the past few weeks, I've found myself watching our videos from our road-trip, and looking at pictures of us at the Grand Canyon and desperately wishing I knew how to turn back time so I could just go sit on the rim of God's creation and breathe deeply and feel as if I was alive again. It's hard to feel alive sitting in a lecture hall, calling caterers or trying to get the attention of third graders at 7 am in the morning. Rachel is right. I crave a life of fun and spontaneity and simplicity. And most days, I don't have that. And I am left wondering if my days of adventure are behind me. If I stop adventuring, I would feel as if I am losing part of who I am. I can't risk that. So how do I find adventure on a Wednesday where I barely have time to eat lunch before rushing from class to work? How can I find a life of freedom in the mundane? 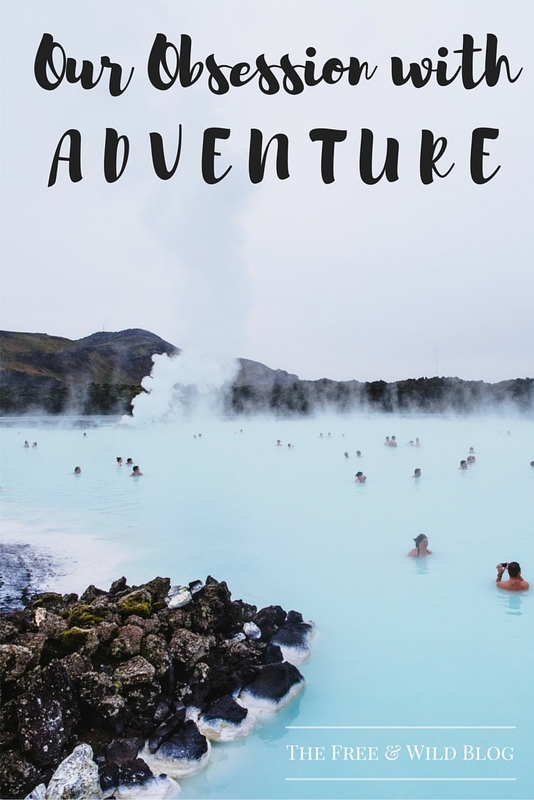 Adventure is defined as "an exciting or unusual experience; a bold, risky undertaking; to take the risk involved"
Maybe adventure is waiting for me in the lecture halls and the elementary schools. Maybe adventure doesn't have to mean an airplane ride or travel to a new city. Maybe adventure is taking the risk to live life deeply and fully and joyfully here in my little world.